We have all heard it before. When someone rear-ends another car in an automobile accident, they will think of anything they can to get off the hook for liability. Even though insurance will typically protect them, most people do not like to admit that they made a mistake and no one wants their insurance premiums to go up. For that reason, people tend to lie; mentioning that faulty brakes are the reason for an accident is a common thing. Unfortunately, it is not commonly true. In the rare instance where, through no fault of your own, your brakes suddenly, instantly, and unexpectedly ceased to operate, you would be able to prevail in a civil action against you because no one will be able to find negligence. Negligence means that you were careless, or more specifically, that you fell below the standard of what would be reasonable care under the circumstances. When you do this, you are responsible for the damage that you cause. If you want people to believe that your brakes actually went out, there are many things that you must do. The first of which is to not be negligent in the maintenance of your vehicle. If your mechanic told you that your brake pads are all but gone during your last tune-up, and you opted to not replace them, nobody will care that your brakes failed because you are the one that is responsible for their failure. Drivers have a general duty to keep their cars operating at certain level of safety out on the road. Another thing that people will look at to determine if you have a valid excuse is what witnesses say about the accident. The police report and any statements from bystanders are always crucial to determining liability after an accident. If you never mention that your brakes went out while you are still at the scene, it will be quite obvious that you made it up later. Do not do that. Never lie in an attempt to get out of liability for a crash that you caused. Many insurance companies have accident forgiveness programs that will allow you to get your rates quickly back down to the level they were prior to your accident. It is not worth completely screwing over the driver that you hit. Being the victim of a car crash can be a life changing event and it is something that people deserve to be compensated for. After all, you pay for insurance for a reason, why not let them step up and protect you now that you have caused an accident? Probably the single easiest way to tell that a driver is lying about having their breaks go out is that the driver will usually drive their own car home from the scene. Any idiot could tell you that it is completely unsafe to drive a car with no breaks. If someone hits you, and they claim that their brakes went out, they should not drive home. 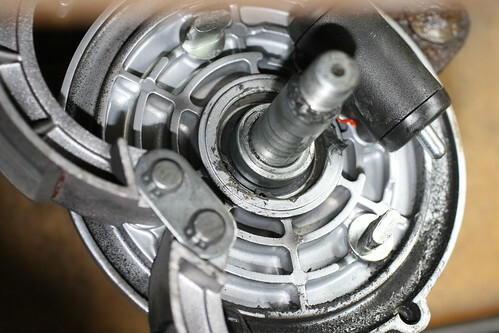 In order to prove that faulty brakes were the cause of the accident, as opposed to negligence by the driver, the driver must document an immediate brake repair after the accident. The notes from the brake repair should include remarks from the mechanic as to the obvious reason that the brakes suddenly went out. Considering all these details, lying about having faulty brakes is a very tough thing to get away with. The truth will come out. The best policy is to drive responsibly, and to contact an injury lawyer if you are hurt in a car accident to see if they can offer you some help.